You’ve probably heard of XiaoMi, the up and coming smartphone maker from China that is creating a storm in the smartphone market. 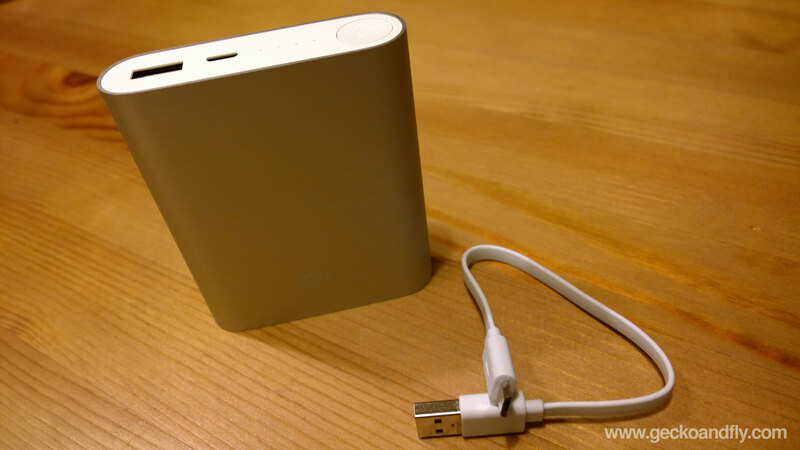 2 weeks ago I decided to purchase their much sought after XiaoMi 10400 mAh Mi Power Bank charger (also known as Portable Power Pack), reason being that it is cheap or to better phrase it – affordable. I bought it for USD 11.38, yes, not a typo, it is USD 11.38 for 10400 mAh. 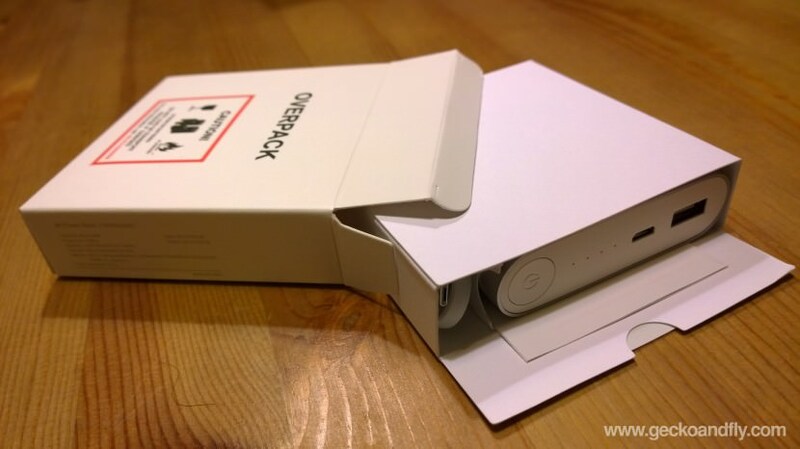 The packaging is really simple, kind of like an OEM product. The aluminum casing is beautifully crafted, very Apple like. Honestly, I prefer plastic over this smooth metal casing, reason being that a plastic casing doesn’t scratch easily and is not as slippery as metal. Then again, it could be me, I have sweaty palms. Somewhat short charging cable, then again, this is meant to be a portable charger thus this is not a big issue. 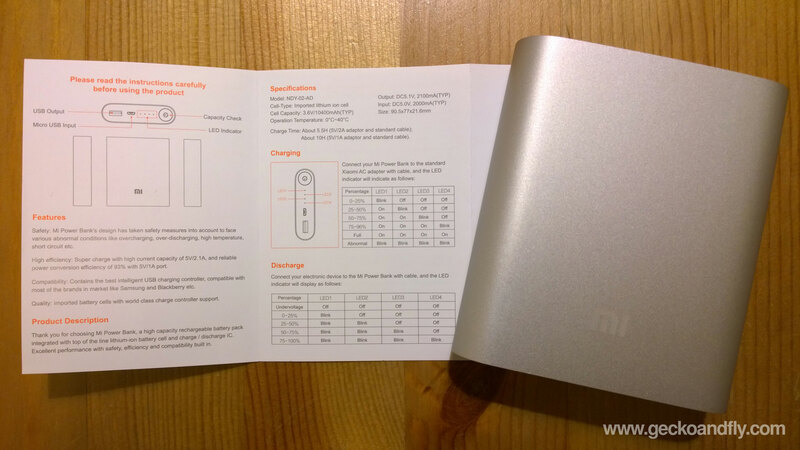 Unlike other power bank, XiaoMi Mobile powerbank comes with ‘Pass trhough Charging’ capability. This enables you to charge the powerbank and your smartphone all at the same time. Most power banks are not able to ‘dual charge’ both the powerbank and smartphone at the same time. The user manual is a tiny 4 pages long, only in English. Nobody reads these manuals, thumbs up for saving paper! LED indicator will display as follows when you charge your Mi’s powerbank with an AC adapter. If all 4 of the LED blinks when you are charging, it means the unit is faulty. Contact XiaoMi for a replacement unit. LED indicator will display as follows when you charge your device with Mi’s powerbank. It took approximately 5.5 hours to fully charge the portable powerbank. 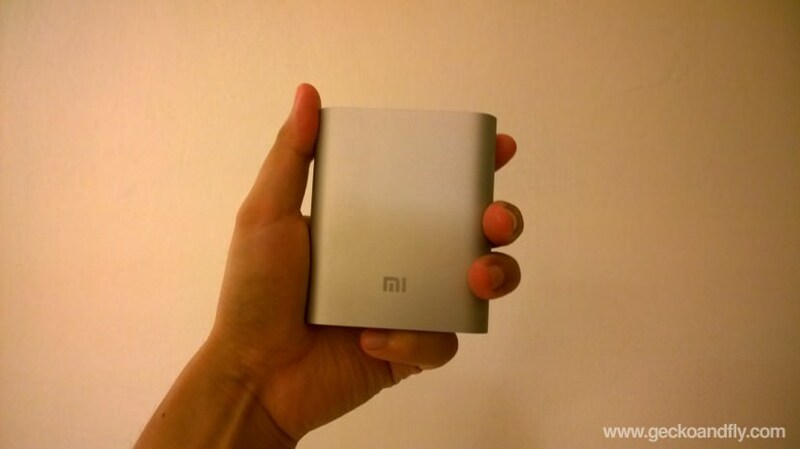 Why is XiaoMi’s Smartphone and Powerbank Priced So Cheap? Their business model revolves around the idea of directly selling the goods to the consumers via their website, no middleman or commission. They do not advertise on big media companies, they rely on word of mouth and social medias. I like to think of them as the Dell of 1990’s. Some labeled them as the Apple of China but I have to disagree, reason being that most of their products are not exactly revolutionary. The only thing attractive about them is the price to quality ratio – why pay more for the same technology by Samsung, Sony, HTC, Motorola and more? As you can see from the data below, a 10400 powerbank have enough capacity to charge your iPhone for approximately 6 times. A must have item on a camping trip, possibly a life saving item in time of urgency. Why Is XiaoMi Power Bank So Cheap? XiaoMi sells directly, no middle man, no storage fee, no rental no electricity bills, and no workers. XiaoMi doesn’t spend money on advertisement, everything is done via word of mouth and social media. Hi Dzynek, is it? Apple iPad Air has 8820 mAh, if the problem exist, you should contact XiaoMi and request for a new unit. Warranty only provided for those that purchased from XiaoMi’s official website and not via 3rd party. Too many Fake XiaoMi Power Banks in the market. am not too sure about that, maybe it is ok as long as the cable is of good quality. I brought a new one , but as I put it to charge , all the LEDs blink simultaneously. Is it abnormal? Hi, according to XiaoMi’s manual, if it blinks simultaneously while charging, it is a sign that something is not right with the product. If you purchase the powerbank from XiaoMi (original), do contact their service center, they will replace it with a new one. do note that if you purchase from unauthorized seller, it could be a fake powerbank, thus XiaoMi is not responsible for any defects. But is there a way to solve this issue? If it is a faulty hardware issue, no software or button can solve this problem. 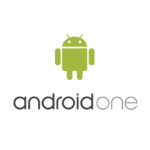 If you purchase it directly from XiaoMi, contact them for a 1 to 1 replacement. If it is from a 3rd party, you have to contact them, xiaomi is not responsible for fake products or products sold via 3rd party. hello sir, it depends on the charger’s capability. Hey. I won one of these as a gift. But, unfortunately, the manual is in chinese. Could you sent me a picture of yours ? Thanks! All the best! Just click on the image for the link to the high resolution version. bottom of 10400 mAh picture under the Powerbank. Most companies have many different models with similar design for a product. Those with CE tend to have better materials due to environment issues, safer ‘no mercury no lead’ materials and better quality. This is a common practice among all major hardware manufacturer except for Apple. Simply put it, third world countries have lower build quality over those meant for the first world. The design are the same and cannot be distinguish via the naked eye. No pressing of button required. The button is for checking the remaining power in the powerbank. It is a simple plug and play. hello again but the plug ang play doesn’t work on my ipad mini lightning cable. it only works on micro usb…hmmm can try it also on your powerbank? I cannot find an English version for the user manual. Can you please suggest a link to download one? You can click on the image, I uploaded a super high resolution of the manual. If it is a faulty product and you bought it via the official channel, contact XiaoMi for a product replacement. Security Code… Never heard of it before. As for turning it off, there is no power off button. That button is for checking the amount of charges available. 4 LED blinking means fully charged, if 3 blinks means 3/4 charged and so on. Hi there, i have iphone 6 plus and samsung note 2 N7100, is xiao mi power bank works on that? 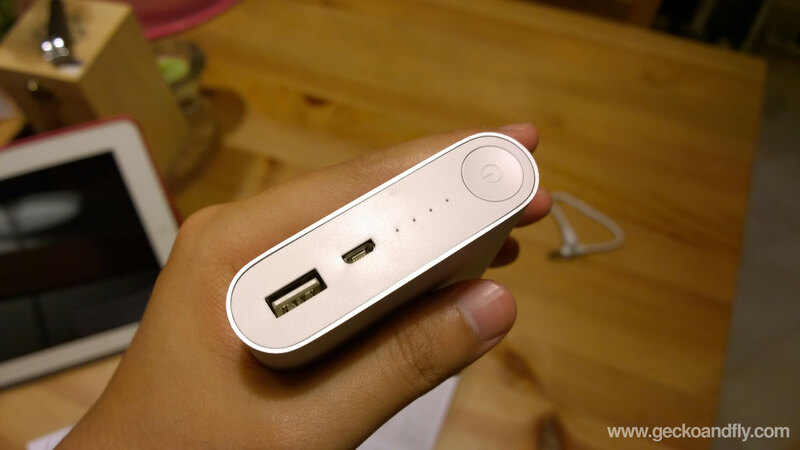 Hi I buy a 10400mah powerbank.. when after I unbox it I push the button and indicate a 3 led light…. and then I charge it, it followed the blinking status based in the manual but after the 3rd light stop blinking…the 4th isnt blinking… what should I do? If you purchase from the official channel, ask for a replacement if the powerpack is faulty. Hi.I bought a MI 10,400 maH powerbank. It worked properly for a month charging mobile 3 times.but now there is a problem while charging the powerbank.As per your guide the problem is similar to Abnormal Situation.At first 1 led blinks and after few minutes all leds start blinking.Ultimately the power bank doesnt charge at all when this happens. It worked flawlessly for a month but now this prob arised. I didnt buy the product from MI.So cannot ask for replacement. Product is real from my 1 month experience but I need a solution for this problem now.Can you plz kindly suggest me a solution? If it is a faulty product and not purchased directly from the official Mi Channel, it could probably be a fake. If it is a fake, you cannot solve this if it is a hardware problem. hi i purchase new xiaomi 10400 mah power bank but all lights are blinking and its not charging. can any one help what it mean my power bank is damaged. 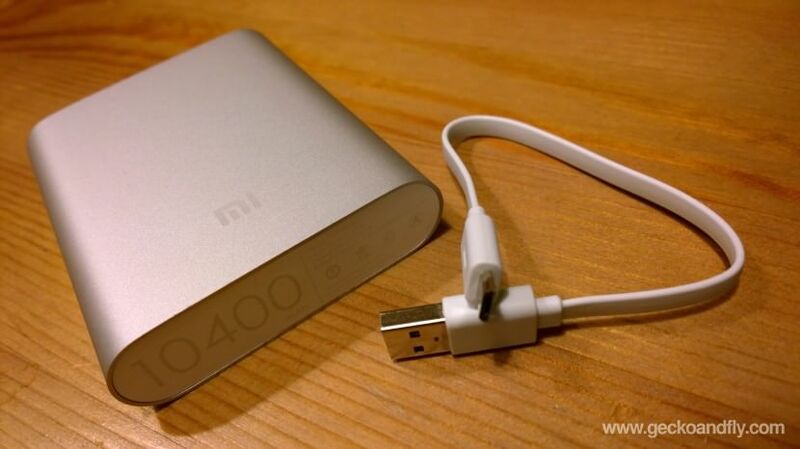 What is the use of power button in xiaomi 10400 mah power bank. Hi,i recently purchase Mi powerbank 10400mah..but when i charge my Asus Zenfone 5 ,it only shows as an USB power not an AC current…i don’t know how to do? Please reply ASAP. Hi! I would like to ask the full picture Starting in “Please read the instructions carefully” you covered the last part wherein we can see the link “http://fugu.mi.com” the one you covered with the powerbank. The very last page. 3 of 3 in the Thank you. hey, i recently bought at mi portable charger 10400, but then when i bought it the battery is already died, i charged it for almost an hour and not even a bar light up. what should i do? I bought new mi 10400 power bank.while I plug in that power bank with my mobile, there is no rresponse .of charging. The battery level of my phone gets suddenly decreased 26% to 10%..
Did you press the power button on the power bank? Just like how you charge your mobile phone? use the MicroUSB cable. Did you purchase the powerbank from the official site? XiaoMi only sells directly, if you bought yours from a retailer, chances are it could be a fake and XiaoMi have no control over what is sold by others. If is it genuine, contact XiaoMi for a replacement unit. charging through usbport? no wonder it takes 6 to 10 hours to recharge. I think something is not right, you should contact Mi for a replacement unit. For the guys who are looking for the best power bank for their devices #Zendure charger is highly recommended.I also needed a power bank for my new iPad.I was so confused about the best one then my brother recommended me to buy it.It’s really a fantastic product with high durability.It is light weighted i.e easy to carry everywhere. My xiaomi Powerbank is getting charged properly and all LED lights does not blink simultaneously,but when charge my device with this Powerbank then the LED lights gets off one by one in a minute and it gets off!! Please help me!! 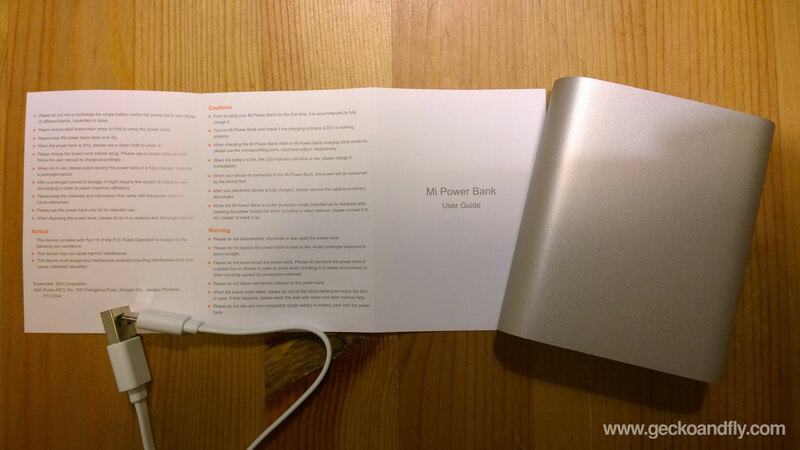 I am using a mi 10400mah power bank. It’s giving output of 5300 mah. It’s taking 7 hours for the full charg with a 1amp charger. I have checked the 20 digit security code of the power bank in mi website and found its original. I just want to know whether it’s a defective piece or not ? I am using moto g2 for the charging. Hi, I am not sure how u calculate the 5300 mah output? Did u discharge the powerbank none stop? Most powerbank will discharge itself overtime, if you only use the powerbank once in a while, chances are, it has already discharge a % of the mah. Does this power bank applicable for Android users? Yes, it works on all mobile devices. Including Windows Smartphone and most laptops except for MacBook Air. Does it charge Iphone 6 ? And if does how much time it will take to charge my iphone 6 fully ?? I have no idea how fast it will charge the iPhone 6. I believe a standard UK power outlet is rated at 240V and at 13A and the mi 10400 powerbank has an output A of 2.1A. Based on this math, it will take 6 times longer to charge your iphone via powerbank. I just bought XiaoMi 16000 mah power bank. I am using iPhone 6 which I think it does not supports. Even though it charges all phones and iPhone 5s too but no good to iPhone 6. Checked with different iPhone 6 but it doesn’t work. Is there an obious way to tell if my Power Bnak is a genuine one? It appears to be, but is there a way to verify this? If there is no such sticker on your product or the code is not valid, chances are, that is a fake product. If you purchase it directly from XiaoMi, inform them, if you bought it via third party, XiaoMi is not responsible because it is a fake. i m having mi 10400 mah power bank.during charging when all the led are on ,i used it for charging my phone but it charge my phone from 20 to 50% .what may be the reason?? Where you bought your PowerBank from? If you bought from a third party and not directly from XiaoMi, I think it is probably a fake. 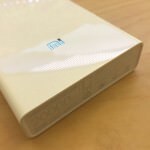 This is a very helpful guide for those who have xiamo 10400 powerbank. I bought mine with chinese manual. This powerbank works pretty well when I first used this to charge my iphone 4s and xperia mini pro with only 2 lights blinking until powebank is empty. When I charged xiaomi it took 6 hours for two lights only and then 8hours for it to fully charge. Im just not sure if this is normal to charge this powerbank. Overall, I like this powerbank because it charges my phone fast. 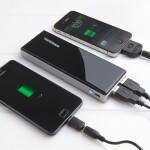 Is it possible for the power bank to receive and supply power at the same time? 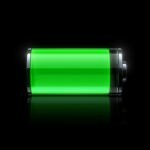 Can I charge Nokia X and Vivo V5. i have purchsed xiaomi 10400mAh power bank from market (original) and alws charged with orginal samsung galaxy s3 charger with full it takes 6 hours to full….but when i am in travelling i can only charge my s3 only 2 times and power banks goes off. alws happen i dont know what to do. s3 has 2100mAh battery. i think this 10400 mAh power bank charge my 2100mAh s3 battery capacity mobile 5 times. minimum. I am worried about it. pls tell me what to do. I purchased a power bank 10400mAh, it worked for only two months, presently it get charged fully, but could not charge Mobile, as I connect to charge Mobile all four LEDs blinks for fraction of second,then stopped. Customer care for service no. 18001036286 is not in service frequently replied, please suggest me what can I do, regrading the problem of power bank as mentioned recently.